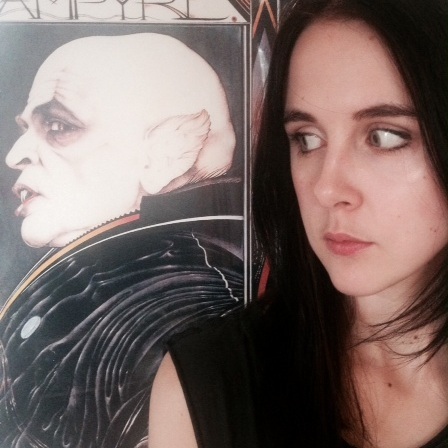 Competition: shame your pet and win a copy of Poison City! 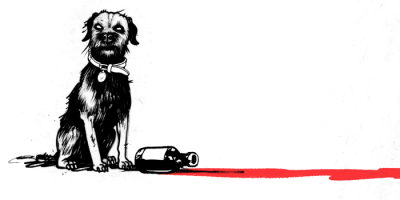 Poison City contains one very poorly behaved dog. He drinks. He swears. He disrespects his owner. He drinks some more. Naturally, we can’t wait for you to meet him. To celebrate his imminent arrival, we’re giving you the chance to win a hardback of Poison City by shaming your very own poorly behaved pet. To enter our competition just share a picture of your poorly behaved pet with us on Twitter or Facebook (post it on our wall so we don’t miss it! ), using #PetsBehavingBadly. All species of pet are welcome, and if you don’t own a pet you can shame someone’s else’s – or a random animal on the street. We’re permissive like that. 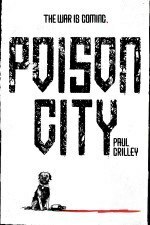 But ultimately, the five entries that amuse us the most will win a hardback copy of Poison City. You have until August 7th to enter, and the competition is open to UK & Ireland entrants only. Read the full terms and conditions here. 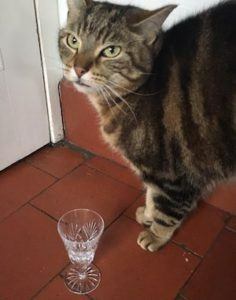 My cat Crispin looking pretty pissed about his empty sherry glass situation. Despite having a terrible attitude, he always uses the correct glassware. 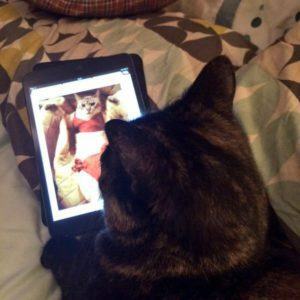 Anne’s cat Peep looking at some salacious material on the iPad and not even using Icognito mode. 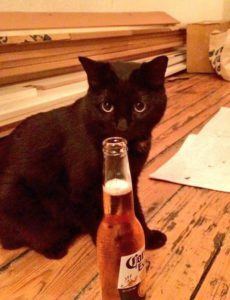 And, finally, here’s Anne’s cat (she’s a very bad mother) Harvey drinking a Corona. She didn’t even bother to put a lime in it. Win a copy of Guy Gavriel Kay’s Children of Earth and… Win a copy of this radiant hardback.